As editor in chief of Glossy magazine, Imogen Tate is queen of the fashion world … until Eve, her conniving twenty-something former assistant, returns from business school with plans to knock Imogen off her pedestal, take over her job, and re-launch Glossy as an app. 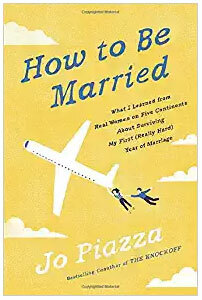 Jo Piazza got her romantic-comedy ending when she met the man of her dreams on a boat in the Galápagos Islands and was engaged three months later. But before long, Jo found herself riddled with questions. Why do celebrities get paid so much more than regular people to do a job that seems to afford them the same amount of leisure time as most retirees? What do Bush-era economics have to do with the rise of Kim Kardashian? How do the laws of supply and demand explain why the stars of Teen Mom are on the cover of Us Weekly? And how was the sale of Brad Pitt and Angelina Jolie’s baby pictures a little like a street drug deal? 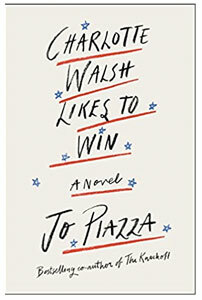 After a decade spent toiling as an entertainment journalist and gossip columnist, Jo Piazza asks the hard questions about the business behind celebrity. “Fascinating profiles” of remarkable nuns, from an eighty-three-year-old Ironman champion to a crusader against human trafficking (NY Daily News). 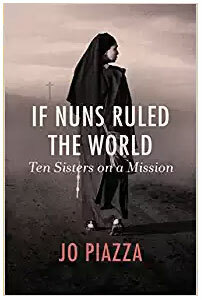 In If Nuns Ruled the World, veteran reporter Jo Piazza overthrows the popular perception of nuns as killjoy schoolmarms, instead revealing them as the most vigorous catalysts of change in an otherwise repressive society. 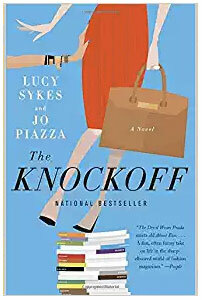 From the bestselling authors of The Knockoff, an outrageously funny novel about one woman's attempt—through clay diets, naked yoga, green juice, and cultish workout classes—to win back her career, save her best friend, and lose thirty pounds.